While planning your investments or considering tax savings in a financial year, life insurance is one of those plans that come in our minds at first. Despite the smartest and the best choice of investment to secure the future of your family, only 10% of the population of India purchases a life insurance policy. 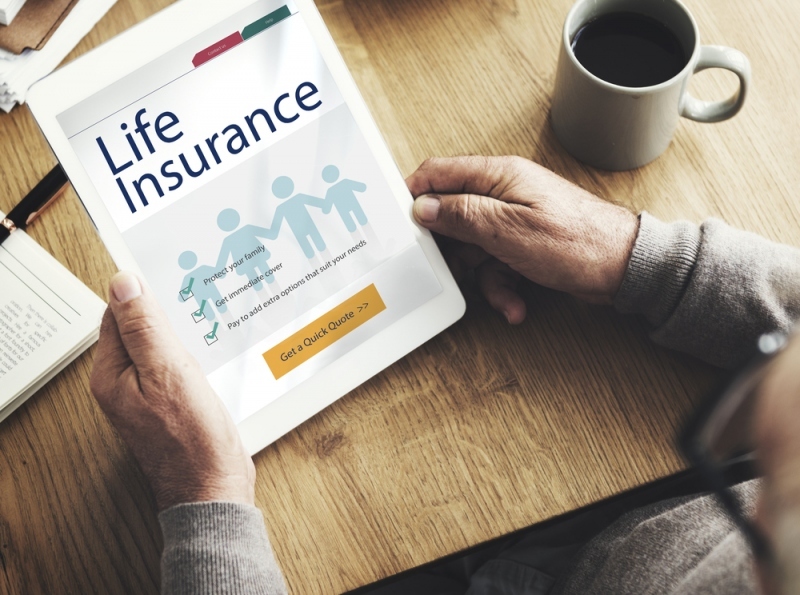 Primarily, a life insurance policy protects an insured person and his/her family against unexpected loses, such as the sudden demise of a family member. Purchasing the best life insurance policy is one of the most important investment decisions that one can make, as they need to ensure a strong financial future for their family when they pass away. Additionally, a life insurance policy offers the tax saving benefit under section 80C of the Income Tax Act, 1961. Financial security of your loved ones even in your absence: Death is the ultimate truth and all of us have to face it. And, the first thing that almost everyone thinks of in such critical situations is financial security of their family. Therefore, a life insurance policy gives you an assurance that there is sufficient money for your family even when you are not there. Add-on your retirement targets: Healthy retirement is a goal of almost all of us and a good life insurance policy gives that surety as well. With a correct life insurance plan, you can expect regular monthly income in the future. In this way, investing in the right life insurance policy helps you add on your retirement goals. Tax savings: As already mentioned above, you can expect good savings on tax with your life insurance policy. The premium that you pay for your life insurance policy is eligible for the maximum tax deduction up to Rs. 1.5 lakh according to the section 80C of the Income Tax Act, 1961. Dealing with the debts: A right life insurance policy takes care of all your debts such as home loan, personal loan, auto loan, loan on credit card, or any other loan that you have left behind. This is because nobody wants his/her family to encounter financial liabilities in the situation of crisis and hence, your life insurance policy helps to repay all your debts. No Business Worries: Apart from benefitting your family and your other personal plans when you pass away, a life insurance policy is also advantageous for your business as well. If you have your business in partnership, all the partners should have a life insurance policy. The reason for the same is when you or any of your partners dies, the other partners have sufficient fund to purchase their interest from their heirs. And, they can pay their shares of the obligation of the company without creating any need of selling the company itself. For this, there are different kinds of life insurance plans available, such as term insurance that let you get the protection for a fixed term and there benefits are paid in the situation of your death. Begin investing in life insurance as early as possible: One excuse that youngsters who are earning make for not purchasing a life insurance policy is its cost. They think that their salary is not sufficient to afford the cost of the premiums of the life insurance. However, it is not true because the healthier and younger you are, the lower the premium of your life insurance will be. So, select an insurance plan at the youngest age possible. Accelerated benefits of your life insurance policy, if you become terminally or critically ill: Most of the life insurance policies provide accelerated benefits in case of various specific health conditions like heart attack, end-stage renal failure, stroke, or invasive cancer. You may get the accelerated benefit of your life insurance policy (depending upon your insurance plan) somewhere from 25% to 100% before you die, if you develop any critical illness. This enables you to pay your huge medical bills in case of severe illnesses. However, one downside of these accelerated benefits is that your beneficiaries will not get the full benefits of your life insurance policy when you pass away. Helps to purchase different options: A good life insurance policy helps you get profits and the best deals through a large number of policies. You get the benefits of these policies, as you invest in them and successfully complete the term. Therefore, it is a tool that helps you invest for a long term and attain your goals later. The best way to save money: A life insurance policy is a piggy bank for your entire life. Therefore, take different types of policies that will benefit you when you invest in them. When you pay the premiums, the extra money is saved as cash value, which you can borrow or sell against your policy. Stable state of mind: Since death is the most unexpected tragedy that no one can avoid, securing yourself financially against it gives you an actual mental relief. This is because you know that your family will not have to face financial challenges when you will not be around to help them. A good life insurance policy will take care of a vast array of things, such as your debts, your business, etc. when you are gone. However, it is seen that even a smallest policy works as an immense help during difficult times of your family and loved ones. Taking a life insurance policy as an investment may make sense for some people in getting rebate in tax, and for some it may give a sigh of relief as their family is secured financially against critical situations like death. However, for an average person, a life insurance policy may be considered as the best investment plan than any term or system investment plans. So, in whatever category you are falling in, a life insurance policy is always the best and the smartest investment choice.